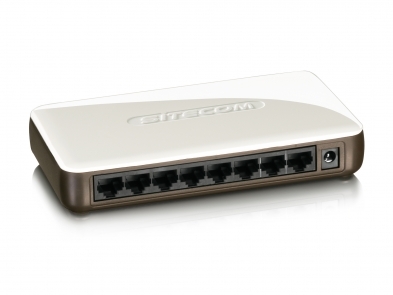 This network switch makes it possible to connect up to 8 networked devices and allows files and peripheral devices to be easily shared between all connected users. The switch has a processor that ensures the data is intelligently transferred between the computers, so that a highly reliable transfer rate of 100 Mbps is guaranteed. The switch is extremely easy to use and is fully Plug and Play, with no installation or configuration necessary. The built-in power saving function saves up to 70% of energy. Three components allow for an efficient power usage: no traffic is routed to inactive ports, the switch automatically changes to standby when the connected devices are turned off and finally, the cable length detection identifies the distance to the connected devices and adjusts the power use. 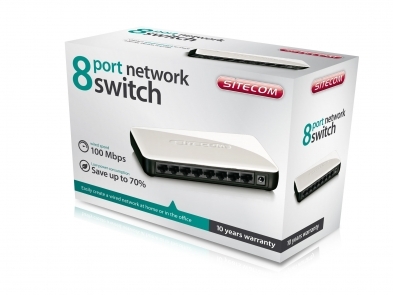 This switch comes with Sitecom’s extensive 10 Year Warranty. Simply activate the long-term warranty by registering your product within 3 weeks of purchase.